You might be surprised to know that it's only recently that I got my documents all sorted and organized on my computer. I had some basic folders set up for years, but I often neglected them and haphazardly saved and backed up my files. Then it hit me that these were probably the most important to pay attention to (except photos which are always King in my world) because they contain the information that my family would need if they didn't have me to provide it for them. And even without that dreadful thought, don't I deserve to be able to find what I'm looking for? I simply got tired of the (digital) mess so I took action! I decided to use a folder and subfolder structure since I have had such great success with this approach in my other digital organization projects. I was worried that it would take a long time to get years worth of documents in order, but it went surprisingly fast - mostly thanks to the fact that I usually name my files in a logical manner. If I just saved everything as document1, document2, etc. then I would have to open them all up and read them before I knew where to file them. Instead, I've had a long time habit of trying to be descriptive in file names. In the last year, I've thought to add dates to the naming process, but even before that the date can usually be found by accessing the file properties. However, it is often the "last modified date" that shows up so be aware that you might need to look more closely at the properties information if you need to find the creation date. I just have found it to be a good practice to include at least the year in the file name. Or if you aren't concerned with the year, you can always use another identifying factor in the naming. The point is to make it easy to search your own files and to locate what you need. In the case of filing the knitting patterns my daughter has downloaded, I don't need to know the date of each one - it's more important to know the name/description of the pattern. Overall, my biggest tip of keeping your files organized is to name them well. Then save them in a folder where you can find them. I decided that the best system for my own filing is to have a folder for each family member (with appropriate subfolders such as: school, medical, records, etc.) and then include a few catch-all categories like household and travel where there are documents that are not specific to one family member. Because I access my documents all the time, I keep this folder structure on the hard drive of my laptop and I also keep backup copies on my external hard drive + dropbox. Most of my other files (photos + digital scrapbooking supplies) usually go directly to my external hard drive. Many of my files are simple things like knitting patterns, scrapbook journaling, and school assignments. The few files that I have that contain sensitive financial information or personal records are given an additional security of password protection. This is easy to do in Microsoft Word or other similar programs and can also be added to PDF files. That way if somebody does hack into my cloud storage (which is also password protected) or steals my computer, they have to know my own password security measures to get to those documents. Another word of caution on this topic - be careful about emailing this type of information or adding unprotected attachments. Email accounts can get hacked! Finally, my last bit of advice is to get a document scanner and use it. Who needs stacks of paper to manage? If you digitize your documents, you can store backups of them as well as originals if needed. I personally love the Evernote ScanSnap scanner, but it's expensive so I know it's not a great option for everyone. There are other ways to digitize your paper collection, including just using the scanner feature you probably already have on your home printer. Here are a few resource links to help you find the solution that is best for you. Even before I had my fancy Evernote Scanner, I found Evernote to be a helpful tool. It took me a while to come around to the idea and my friend Steph kept telling me how much I needed Evernote in my life. She was right! I use Evernote on my phone, tablet, and computer to keep track of a lot of the information I previously only typed up in Word or jotted down on Post-It notes. I also use IFTTT recipes to automatically turn blog posts into files in Evernote and to keep logs of my Facebook posts and other social media activity. Nothing like using automation! If you need a referral to get some free premium points for Evernote, let me know and I can send you one. There are also great benefits even when using a free account so don't overlook that option. 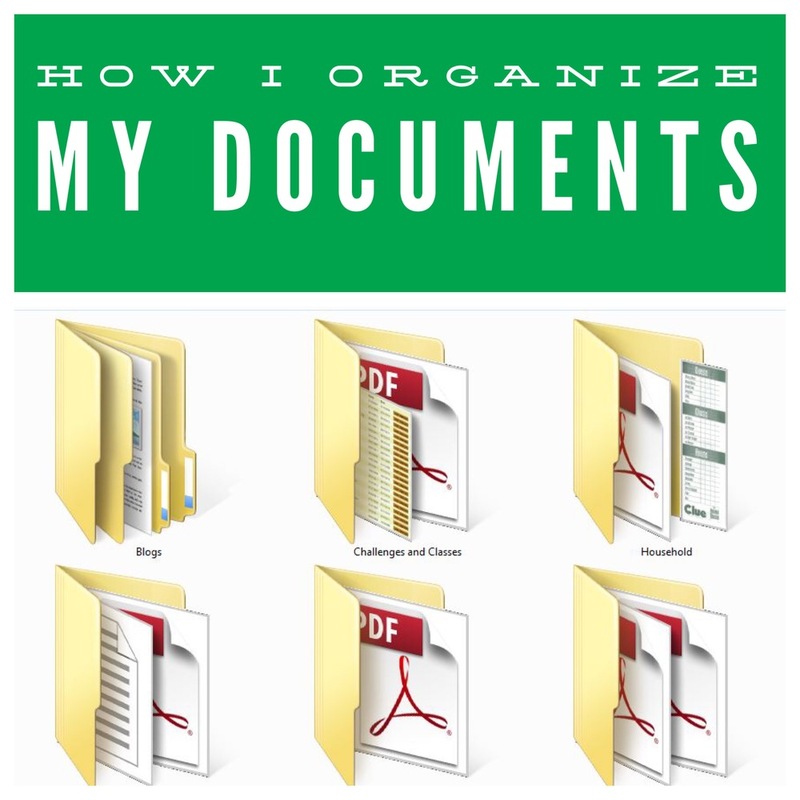 No matter how involved you get in organizing your documents in digital format, just find a simple method to use that makes sense to you. It doesn't have to be complicated or take a lot of time!